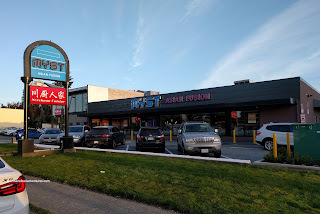 When Myst first opened, I had missed the ChineseBites tasting event due to a hockey tournament (yes some things take precedence over eating!). Turns out it was a blessing in disguise as they had a few kinks to iron out. I ended up visiting the place on my own several times with varying degrees of satisfaction. In all, I've been to the place over a dozen times mostly due to the fact it is open late, which is great for us after hockey. I can confidently say that the food has been consistent in the past half year and even my past disappointments with the drinks have subsided. 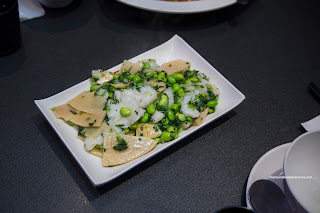 So I had no hesitation to attend the latest ChineseBites tasting that combined some new menu items with some classics as well. Things arrived fast and furious staring with their House Special Stir-Fried Sliced Noodle with Beef. 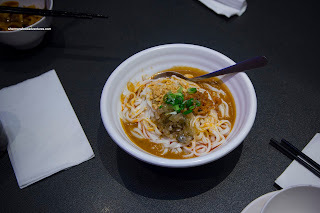 This is similar to the one made with flat rice noodle, except they used the same noodles found in TBN (Taiwanese Beef Noodle). I've had this a few times in the past and this was nicely caramelized with good wok heat like before. 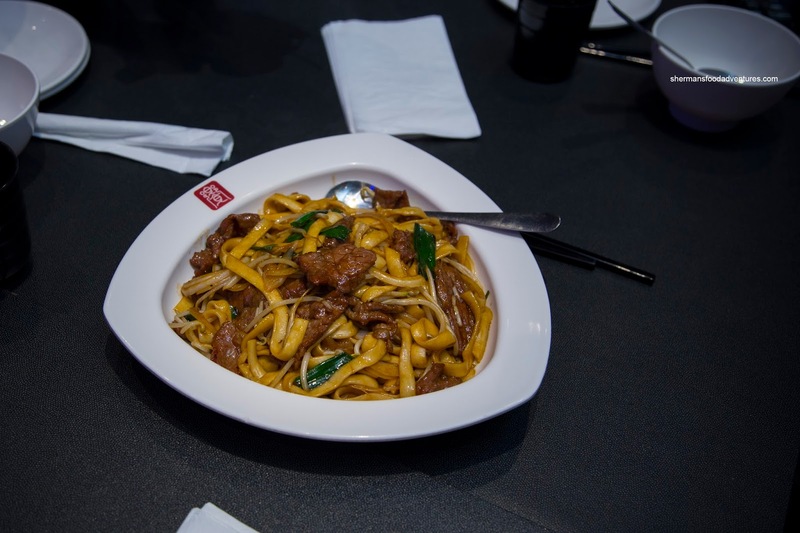 It was full-flavoured and sported chewy noodles with lots of tender sliced beef. Onto the Dan Dan Noodles, I've also had this before and it was spicier than it appeared. This version was more peanutty and slightly sweeter. Loved the pickled mustard greens as it added a tangy pop. I would've preferred thinner noodles, but ultimately, these were chewy and stood up to the thick sauce. 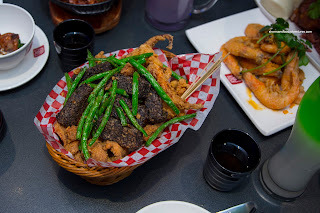 We ended up ordering the usual Myst Assorted Fried Basket (Option B) with chicken nuggets, squid tentacles, black rice cake, green string beans and shrimp chips underneath. Again, I've also had this in the past and this was solid as expected. The well-seasoned salty peppery chicken was crispy while juicy inside. Crunchy with a touch of five spice, the tentacles were appealingly chewy. Not sure about the black rice cakes though as they were rather dense and chewy. In with the new, we tried the Myst Deluxe Feast Platter sporting tiger prawns, pineapple and mini bacon-wrapped sausage, deep fried prawns and yam fries atop shrimp chips. I really enjoyed the yam fries as they were crunchy. 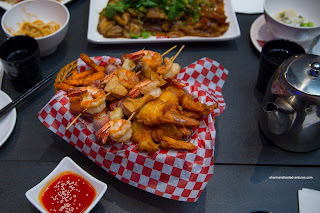 The shrimp skewers with king mushroom were solid, but I found the fried prawns a bit doughy. 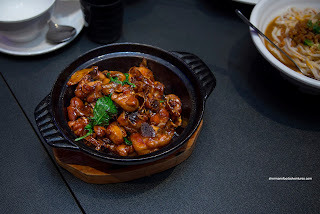 One of more popular dishes that I've never tried before was the Golden Sands Prawns with Salted Egg Yolk. The prawns were cooked just right where the meat retained a snap. Outside, the salted egg yolk coating was aromatic, nutty and only mildly salty. 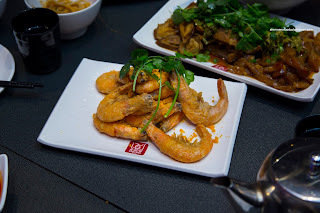 As much as the prawns were fried so that the shell was edible, it could've been a bit more so as some parts were hard to chew. Other than that, I can see why people love this dish. 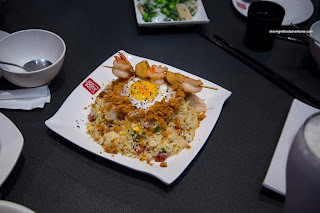 One of my favourite items of the meal was the Myst Deluxe Egg Fried Rice. This featured chewy and nutty rice that was subjected to enough wok heat. It was well-seasoned without being salty. The cured sausage added a certain depth and meatiness. Adding to the flavours and textures was the runny egg yolk and pork fluff on top. 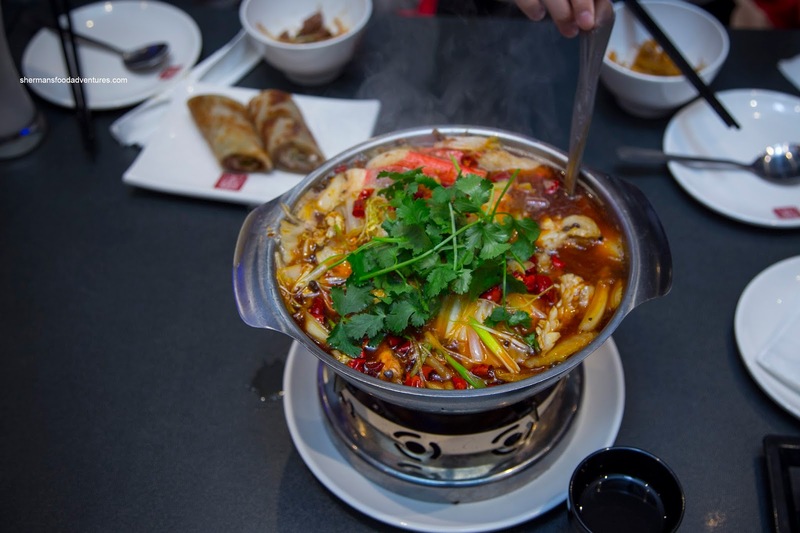 Onto something rather impactful was the Assorted Seafood Spicy Hot Pot that was overflowing (literally as it spilled onto the table) with broth, fish, squid, imitation crab, fish tofu and napa cabbage. 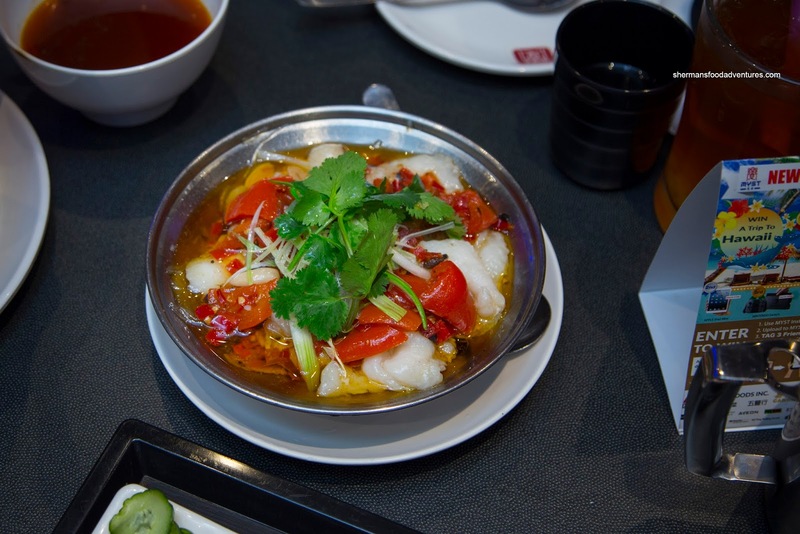 The seafood remain relatively on point texturally despite the constant boil from the hot pot. However, the most obvious feature of this dish was the spice level. They did not whimp out with the chili peppers and Szechuan peppercorns. There was a lingering heat even after the last bite. Compare to this, the Steamed Sliced Fish with Diced Red Peppers was relatively mild. With that being said, it wasn't as if the dish was bland. It was far from it where there was a tasty level of heat accented by a touch of sweetness and tang. The sliced fish (basa) was cooked just enough where it was still soft and flaky. Another classic item was the Three Spice Chicken with Basil. This quintessential dish is something that a Taiwanese restaurant must nail. I felt that this was a solid version that sported medium-sized pieces of bone-in chicken. With rendered skin, the meat was tender and generally succulent. Unlike many versions, this was surprisingly not overly greasy. I found there was a nice balance between sweet and savoury while the aromatics from the sesame oil and basil were in the background. I would've liked to see a bit more tang though. 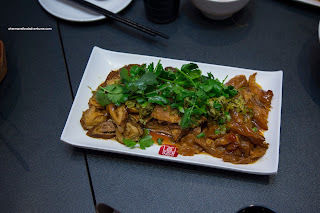 One of my favourite things to order here is the Marinated Combo with beef tripe, pork intestine and beef tendon. Chewy, while still tender, the beef tripe was also not too gamy and flavourful from the braising liquid. The tendon was gelatinous and tender, yet not too soft. This time around, the intestine was more gamy, but that is partly the appeal. Another new offering was the Preserved Cabbage, Bamboo Shoots and Edamame with Sliced Fish. If this dish looks simple and mild-tasting, then you are right. I found that there was only the slightest tang from the preserved cabbage to go with a bit of saltiness. Otherwise, the edamame (as expected) didn't add much other than texture. The bamboo shoots were rinsed so well, there was no funkiness at all. Underneath, the sliced fish was tender and buttery. 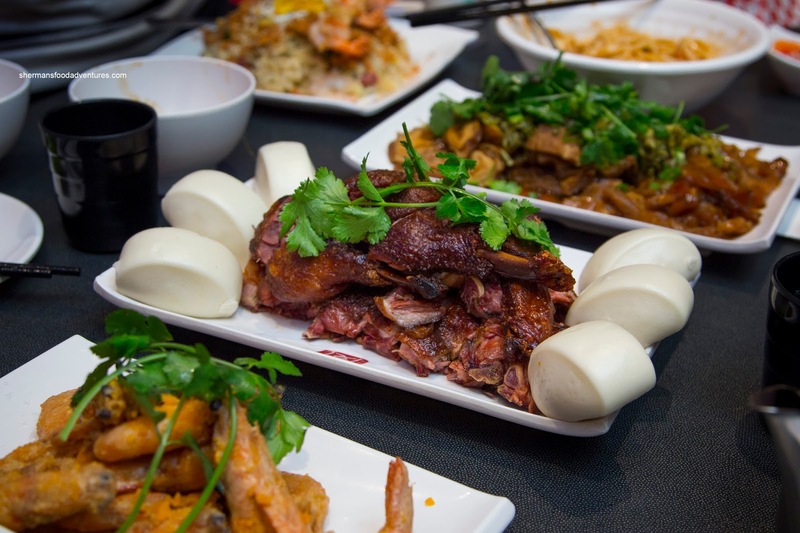 Living up to its namesake, the Chinese-Style Heavy Smoking Duck was really, really smoky. So much so, I can see how some might be overwhelmed. Personally, I like smoky food, so it didn't bother me much. I found the dark meat more tender than the breast meat. The skin was mostly rendered being a little bit dry. 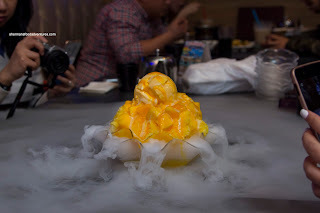 Ending off on a dramatic note, we had the Mango Shaved Ice complete with flavoured ice and mango ice cream. To create the theatrics, there was activated dry ice underneath. Now it looked cool, but was it any good? In fact yes, it was fairly smooth and not overly sweet. Plenty of mango (even though not in season) and a big scoop of creamy mango ice cream on top. Once again, the meal was pretty solid considering the amount of dishes ordered. From my past experiences, food is generally good with only a few hiccups along the way. I liked how their drinks are more consistent now as they were not before. Personally, I just like that they are open until 2:00am as I am always in need of late night eats. Do they have large tables, like table for a group of 10? Food looks great.